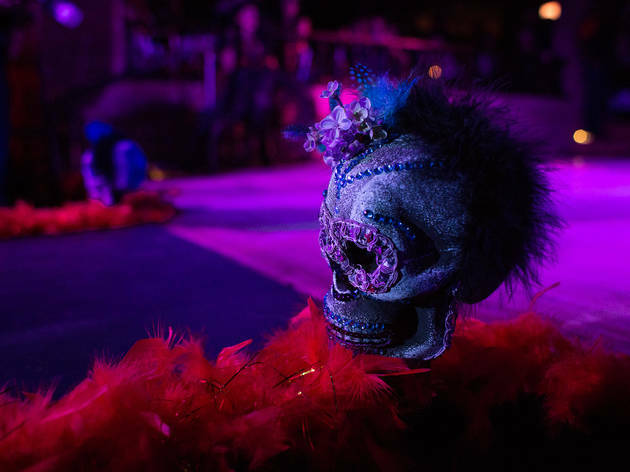 Photograph: Matthew SperzelCostumed attendees and creepy burlesque dancers come together during the Voodoo Ball at Untitled, October 30, 2014. 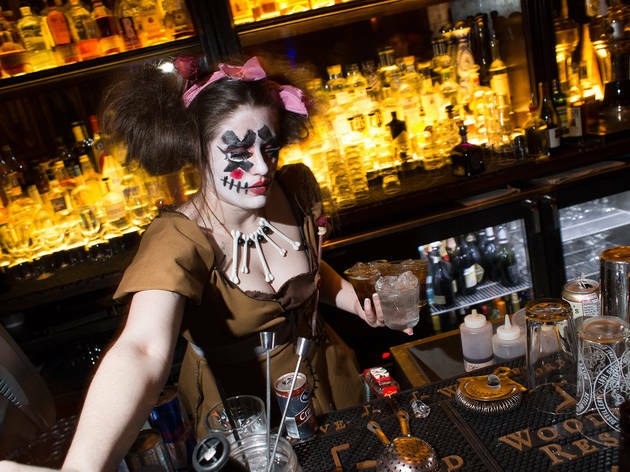 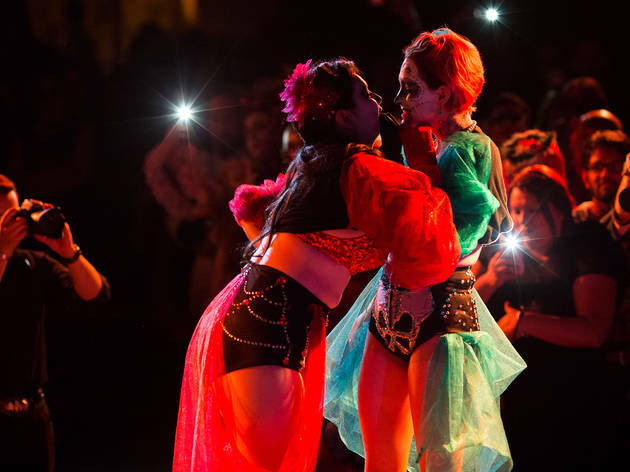 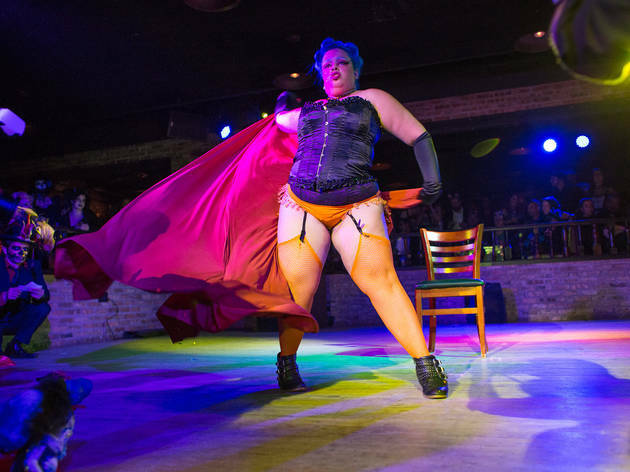 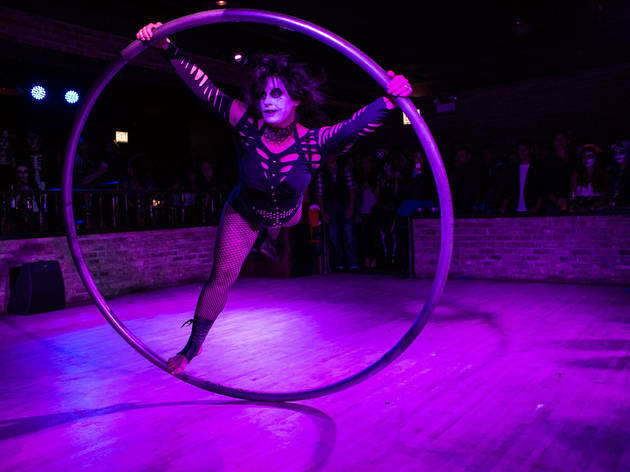 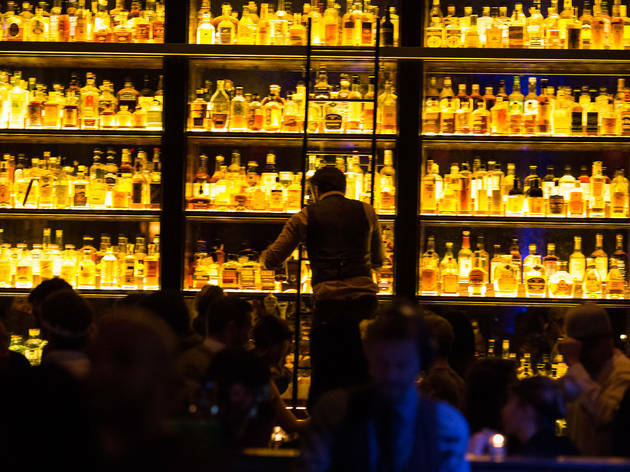 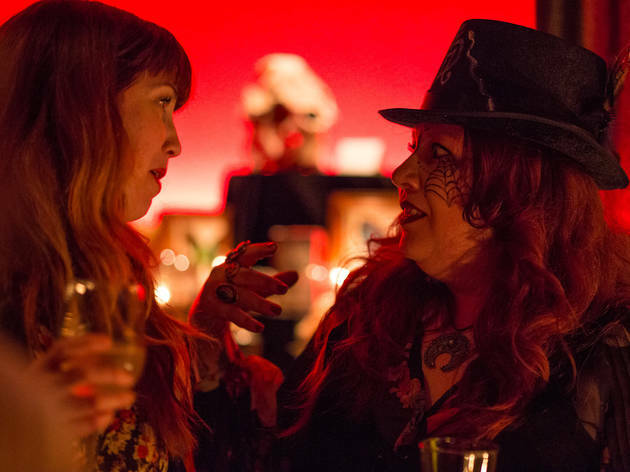 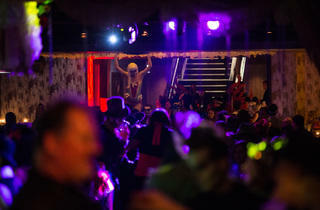 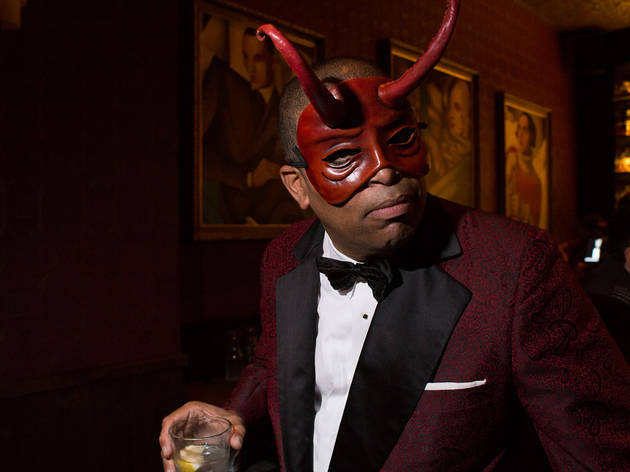 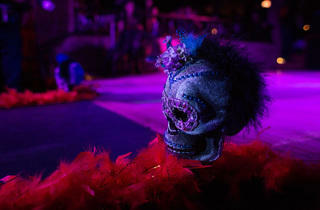 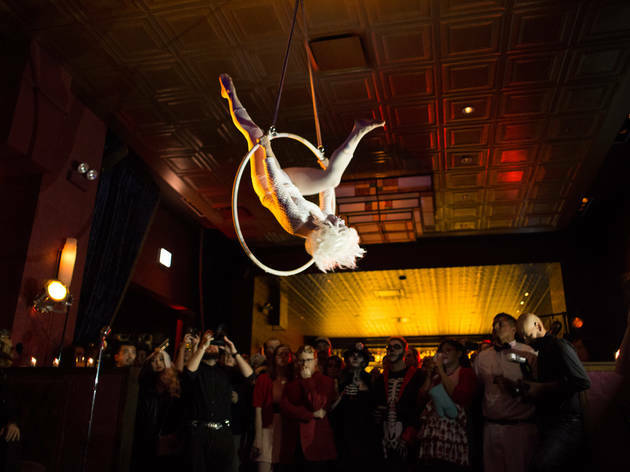 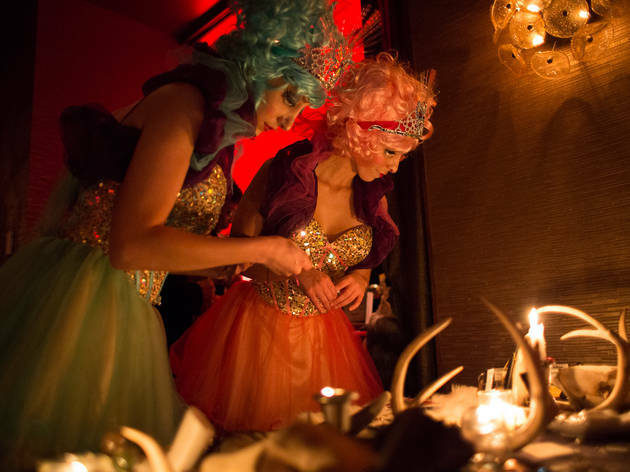 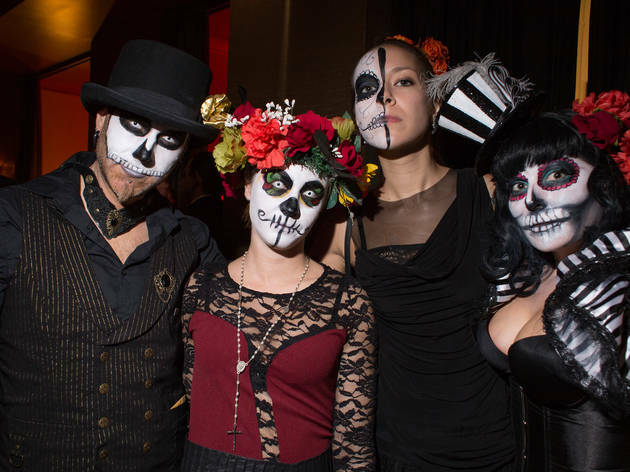 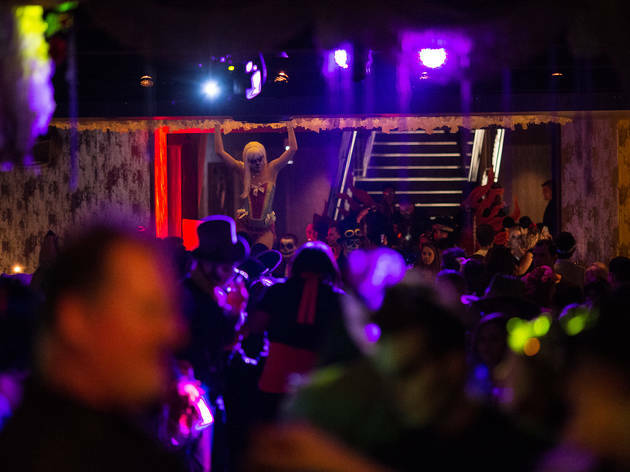 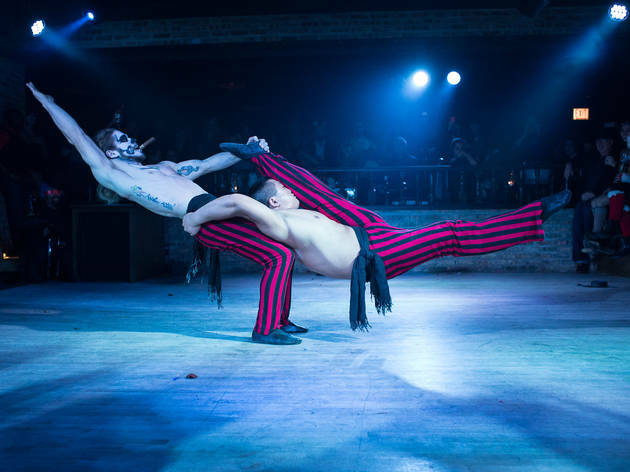 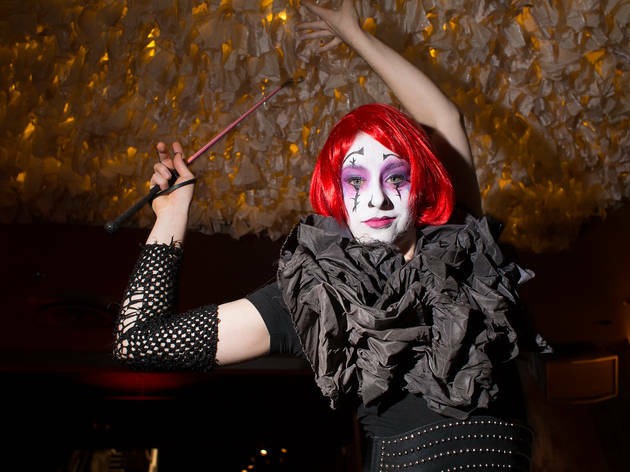 Tarot card readers, sword swallowers and contortionists entertained the revelers at Untitled last night, as the River North super club got an early start on its Halloween celebrations with the second annual Voodoo Ball. 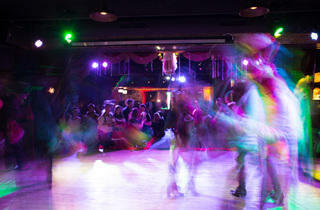 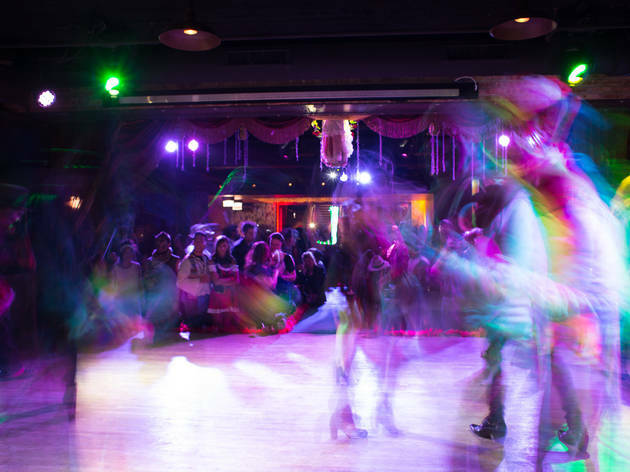 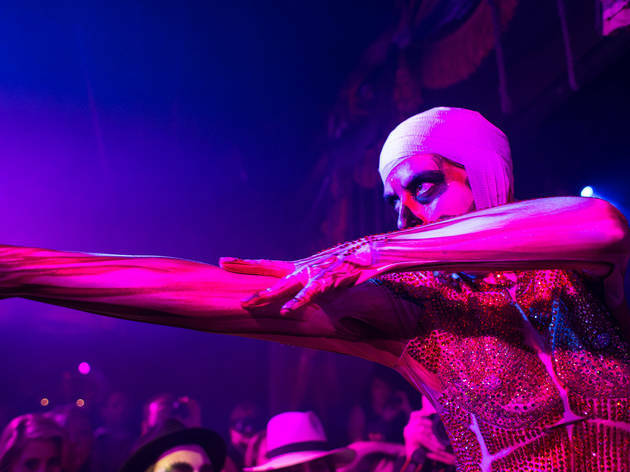 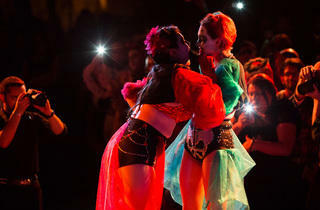 Produced by Angela Eve, the party featured burlesque dancers from the weekly Unbridled at Untitled show dressed up in creepy face paint and outlandish outfits. 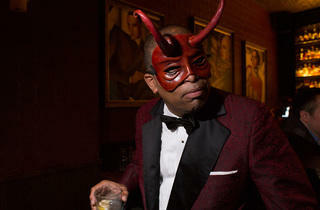 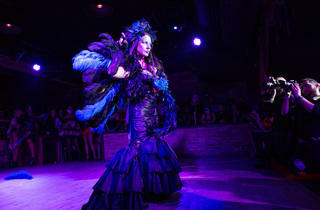 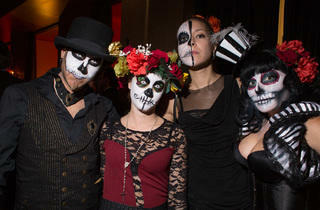 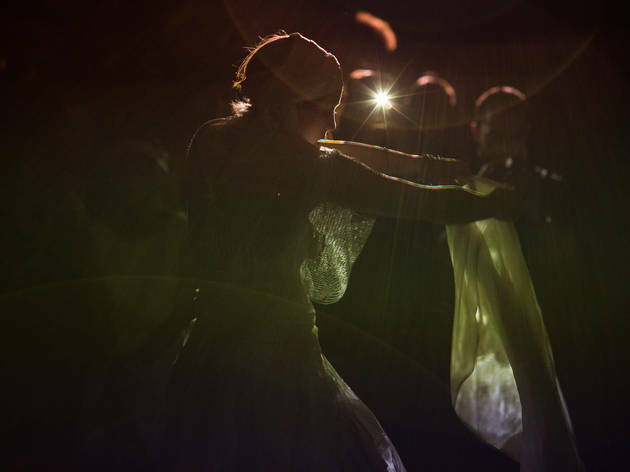 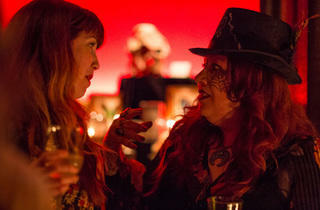 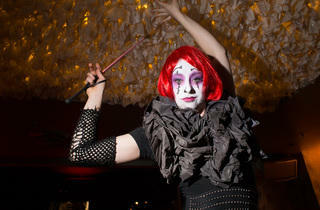 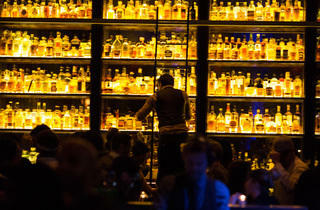 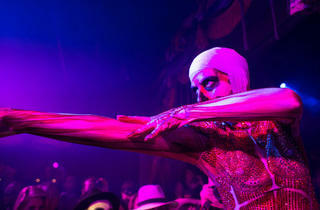 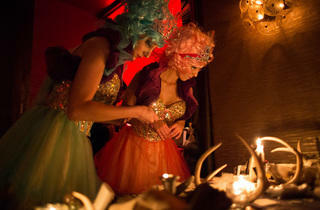 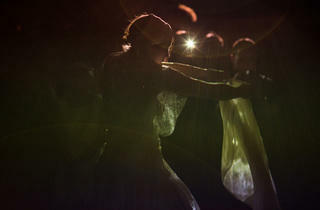 We captured some of the evening's spookiest costumes and most seductive performers.